After Okinawa was absorbed by Japan in the 1870s, masters of the martial arts began to systematize their teaching and training methods. Japanese administrators found that Okinawan youngsters who had trained in karate were better conditioned and healthier than other potential military recruits. As a result, the government began to encourage public instruction in karate which had traditionally been kept secret and taught in private only to family and trusted friends. 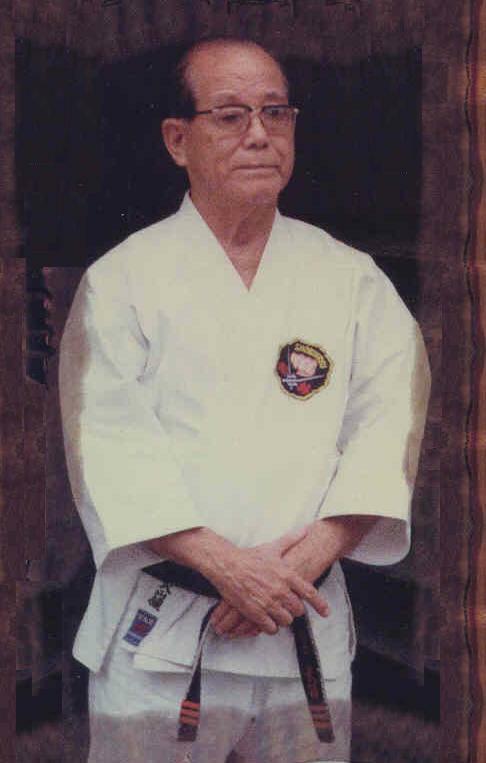 In the first decade of the 20th century, karate instruction was introduced into the Okinawan public school system. At this time, Okinawan martial artists-increasingly identifying themselves as "Japanese"-changed the characters with which they wrote karate to ones that sound the same but meant "empty hand." By the 1920s and 1930s, karate was beginning to gain acceptance by the Japanese martial arts community. To solidify this acceptance, Okinawan teachers began to differentiate their traditions into different "styles" or "schools," each with a distinctive name and curriculum. Rankings, distinguished by colored belts, were adopted and methods of competition were developed. Under Japanese influence, training became more regimented and less individualized. 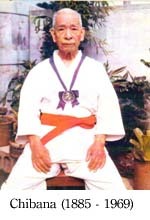 By the 1940s, Okinawan karate had largely assumed the structure it retains today. As karate teachers began to systematize their teaching, they adopted distinctive names to differentiate their styles. Earlier teachers had simply called their art "te" or "di." 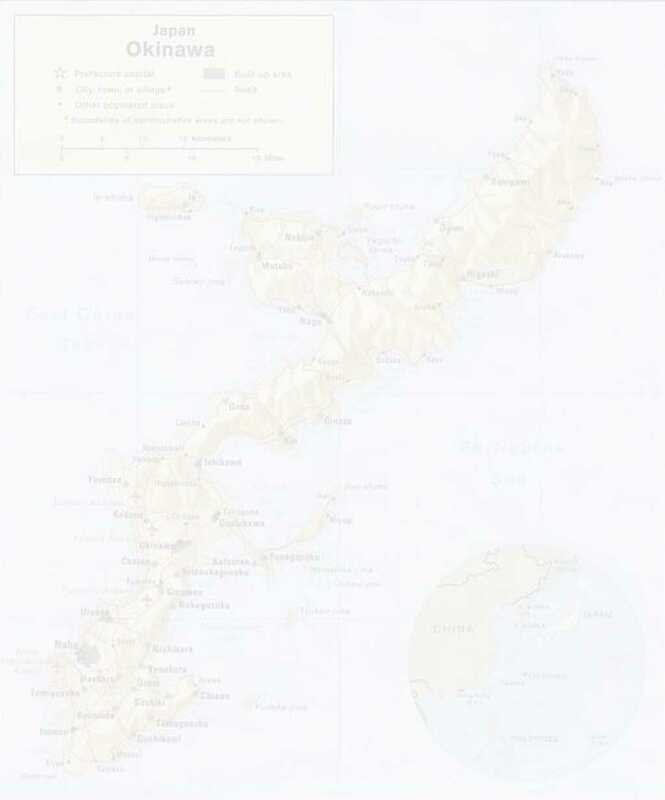 Later, Okinawan martial artists began to identify with one of three general types of "te" based on the cities in which they flourished: Shuri-te, Naha-te, and Tomari-te. In the 1920s, Chibana Choshin (1885-1969), a senior student of the famed Shuri-te master Itosu Yasutsune (1830-1915), opened a school. He selected as the name for his style, Shorin-ryu, the Japanese for "Shaolin Style." He based this choice on the tradition that early Shuri-te masters had studied in the legendary Chinese Shaolin monastery, which was said to have been founded by Bodhidharma, the Indian monk who brought Zen Buddhism to China around 550 AD. In fact, it seems highly unlikely that any Okinawan trained at the Shaolin monastery, which is located in North China, though many trained in various southern Chinese martial arts and returned home to teach. ◊ Kobayashi - (The "Little Forest Style"). This is the direct descendant of Chibana's style as passed on by Nakazato Shugoro, Miyahira Katsuya, Higa Yuchoku, and others. ◊ Matsubayashi - (The "Pine Forest Style"). This is the style created by Nagamine Shoshin, a student of Aragaki Ankichi, Kiyan Chotoku, Motobu Choki, and Chibana Choshin. He selected the character "matsu" because it was common to the predecessors of his own teachers in Shuri-te (Matsumura Sokon) and Tomari-te (Matsumora Kosaku). 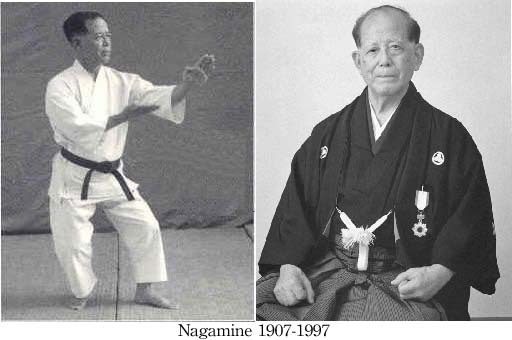 Nagamine died in 1997. ◊ Shobayashi-ryu - (The "Young Forest Style"). These are the original characters used in the name of the Shaolin monastery. This style was created by Kiyan Chotoku and his student, Shimabuku Eizo. In addition, a fourth branch of Shorin-ryu-the Matsumura Seito [Orthodox] style-reportedly was handed down from Matsumura Sokon (c. 1800-c.1890) to his grandson, Matsumura Nabe (c. 1859-c. 1930), to his nephew, Soken Hohan (1889-1982). After Soken's death, the style split into several branches. 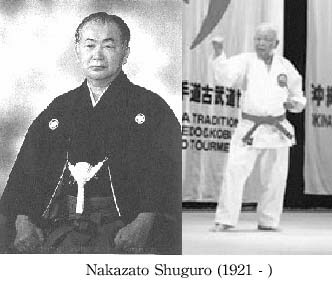 Most schools in the Shorin-ryu Karatedo and Kobudo Association of America (SKKAA or "Beisho") practice the Matsubayashi-ryu kata, though several descend from the Kobayashi-ryu lineage and practice that style's forms.